Founded in 1996, Buried Treasure™ specializes in the manufacture of cutting edge, high potency, whole food liquid nutritional complexes formulated for efficient absorption and enhanced bioavailability. Buried Treasure™ believes the key to nutrient effectiveness is directly related to the amount of bioactive ingredients and the rate of their delivery and assimilation by the body. The Liquid Advantage™ proven delivery method ensures efficient absorption of the highly bioavailable, synergistic vitamin, mineral and specialty nutrient formulations for fast, safe and effective results. Products are manufactured in a family owned USDA, FDA and cGMP compliant facility located in Tennessee. Environmentally conscious, the facility utilizes renewable energy, participates in recycling and supports the local environment and economy. 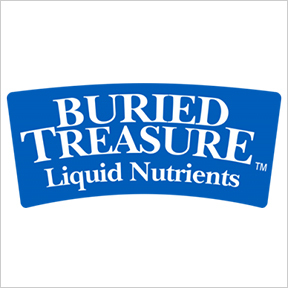 Buried Treasure™ nutrient-dense liquid complexes are formulated in an all-natural base of fruit juices and do not contain binders, fillers, excipients or artificial ingredients. ACF Fast Relief Immune Support: ON SALE Indispensable during cold and flu season, ACF high potency, fast-acting immune support formula combines high-quality botanicals with naturally sourced plant-based vitamins and minerals. A comprehensive synergistic formula, ACF naturally boosts the immune system with vitamin C, citrus bioflavonoids, zinc, elderberry, echinacea and more. Suitable for ages 12 and older. Free of gluten, wheat, dairy, yeast, and artificial ingredients, colors, flavors and preservatives. Vegetarian formulation. Neuro Nectar: ON SALE An exceptional high potency complex of whole food synergistic vitamins, botanicals and neuro-nutrients, Neuro Nectar supports energy, clarity and peak mental performance. Quickly absorbed active ingredients include B vitamins, DHA omega-3 blend, DMAE, ginkgo biloba, gotu kola and more. Naturally preserved and flavored with natural coconut, French vanilla, lemon and grape juices. Free of gluten, wheat, dairy and yeast. Vegetarian formulation. Joint Ease Complete: ON SALE This comprehensive nutritional support formula is designed to help maintain the structural integrity of joints and connective tissue. An advanced high potency formula, Joint Ease provides a synergistic blend of powerful ingredients to nourish joint cartilage, support mobility and promote flexibility. Ingredients include glucosamine, MSM, manganese, boswellia and ionic trace minerals. Naturally preserved, natural mixed fruit flavored. Free of gluten, wheat, dairy and yeast. Vegetarian formulation. Liquid Vitamins High Potency: ON SALE This whole food complex provides a full spectrum of highly bioavailable plant-based essential nutrients in liquid form for immediate absorption. Naturally preserved and flavored with apple, raspberry, grape and cherry juices with no added sugar or sweeteners. Free of gluten, wheat, yeast, dairy and artificial ingredients. Vegetarian formulation.